First Class Water Heaters is a full-service plumbing company providing dependable water heater installation services, repiping, trenchless sewer line repairs and much more. We provide comprehensive plumbing services to customers in Concord and the surrounding area. 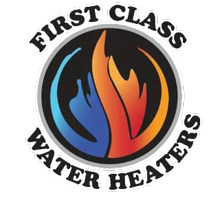 Whether it is leakage repairs or new sewer line installations, rely on First Class Water Heaters for an exceptional service. Our highly skilled experts will ensure that the job is done on time and within your budget. Our technicians will do a thorough check and suggest the most appropriate solution according to your specific needs. No job is too big or small for us. Regardless the size of the job, we will get the job done in timely and cost-effective manner. Customer satisfaction is our topmost priority. Give us a call at (844) 456-4933 to learn more about our services. 15% Off New Installations! Call us at (844) 456-4933.